Can emission trading help to improve energy efficiency in China? This paper investigates whether the operation of emission trading scheme (ETS) helps to improve energy efficiency in China. Stochastic frontier analysis is used to estimate energy efficiency at province level and sector levels, and the difference-in-differences technique is applied to assess the effectiveness of emission trading. 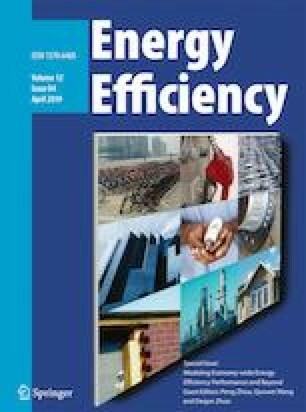 The main findings are as follows: (1) energy efficiency may be underestimated if control variables are taken no account in efficiency estimation; (2) the diversity of energy efficiency is rather high across different provinces or sectors, and (3) ETS is not as effective for energy efficiency improvement as supposed, but its stimulation effect on provincial energy efficiency is prominently positive. It is suggested that it might be more appropriate to implement ETS program in industry or transport sector than in various sectors throughout the country. This study is financially supported by the National Social Science Fund of China (no. 17BGL251).